Daydream away with this imaginative, brave beauty designed by Jim Shore! In this lovely White Woodland piece, Belle tells tales of romance and far-off adventure to her sheep friends, not knowing she will soon find love on her own enchanting journey. 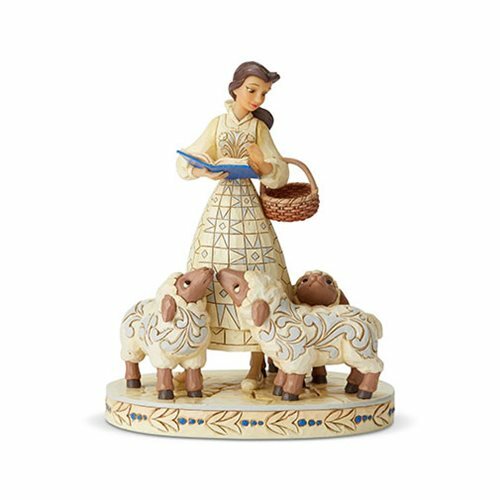 This Disney Traditions Beauty and the Beast Belle White Woodland Bookish Beauty Statue by Jim Shore is made of stone resin. Measures about 8 3/10-inches tall x 6 7/10-inches long x 5-inches wide.